I’ve recently started growing peppers. My garden is small, so every year I face the agonizing decision of which peppers to grow. Fortunately, no matter which kind of pepper I choose, they are all grown the same way. Peppers are perennial plants that are native to tropical Central and South America. They have been grown there for thousands of years. Evidence of peppers have been found in archeological sites as old as 7000 BC. Peppers have spread all over the world thanks to the Spanish who brought them back to Europe and then spread them throughout their colonies in Africa and Asia. Peppers have now become integral parts of many cuisines worldwide. Most pepper plants look the same, varying in height depending on the variety. The flowers are either yellow or white and self-pollinating, meaning that they do not need bees or other insects to pollinate them. About 2 days after the flowers die and drop from the plants, the fruit, which are actually berries, begin to grow. The fruit varies in color, shape and size depending on which variety you are growing. It also varies in heat. The heat is measured in Scoville units and can range from 0 for sweet bell peppers to over 3,000,000 for Carolina Reaper peppers. The capsaicin in the white ribs and seeds of the peppers is what gives them their heat. The Scoville Scale measures the spiciness of foods. It offers a measurement of the concentration of capsaicinoids which give spicy foods their heat. Each unit represents how much sugar water is needed to dilute a sample so that the heat is no longer detectable. 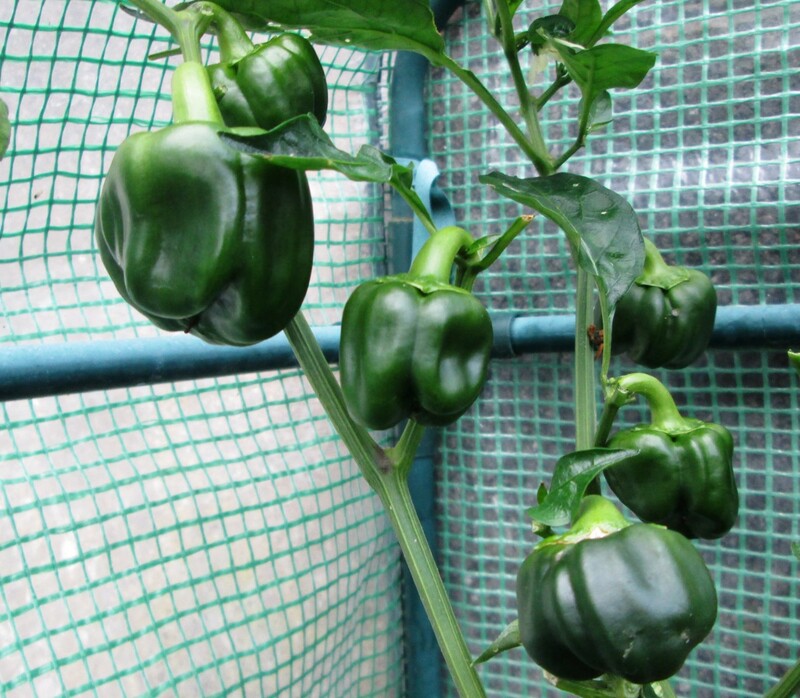 Peppers are tropical plants that require full sun, well-drained soil and lots of heat. 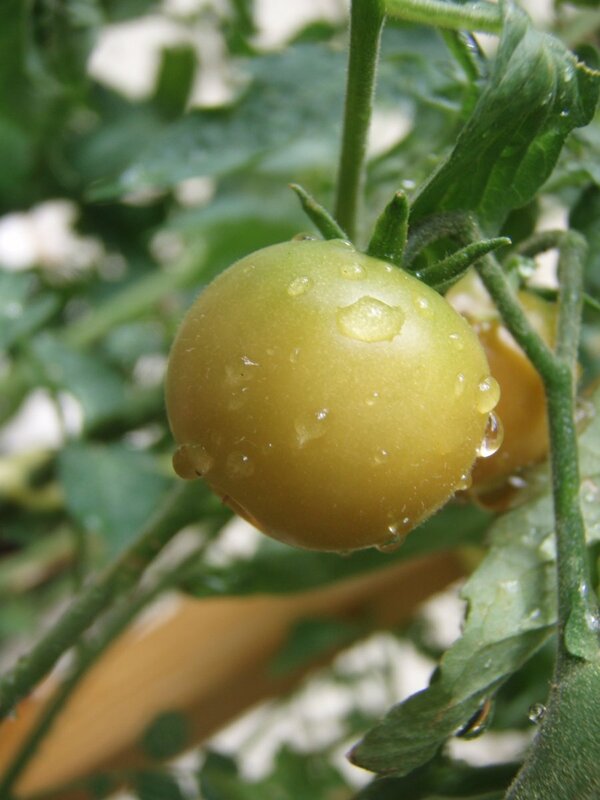 They are members of the solanaceae family which includes tomatoes, potatoes and eggplants. 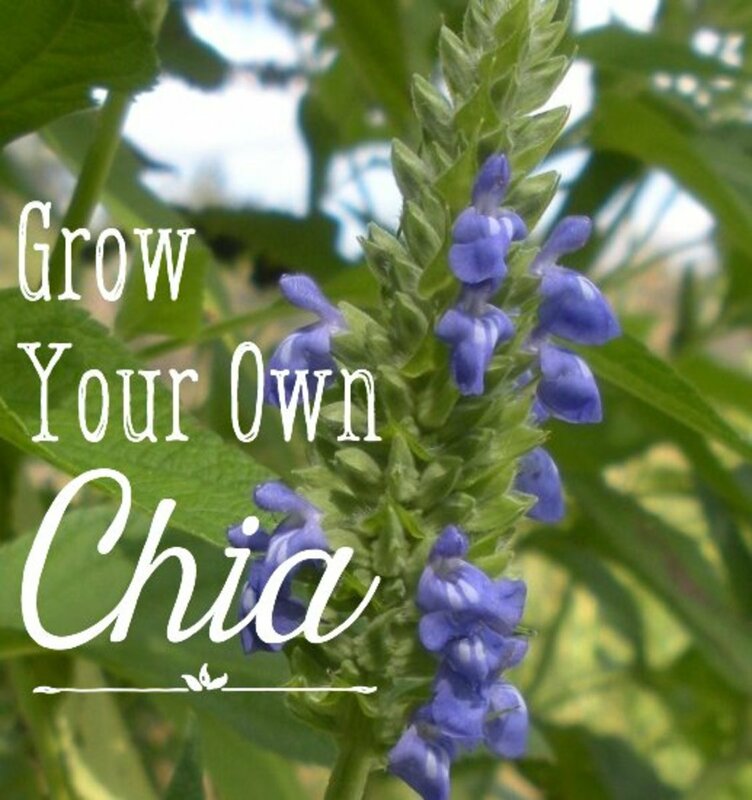 When deciding where to plant them in your garden, choose a spot that has not been planted with any member of the solanaceae family for at least 3 years. This is to prevent disease and insects specific to this family of plants from taking hold in that area and infesting your plants. Choose a spot that will get at least 6 to 8 hours of sunlight each day. Peppers need sunlight to set their fruit. 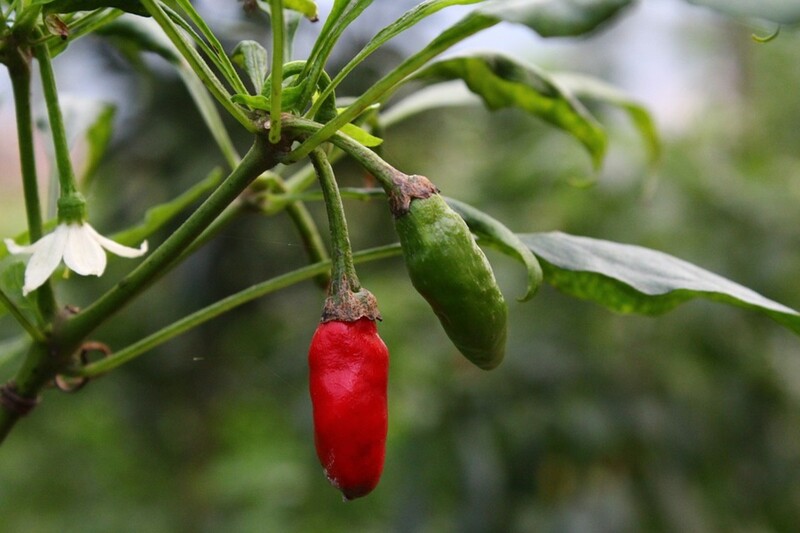 Hold off planting pepper plants in your garden until night time temperatures are consistently above 50⁰F. In my Zone 6 NJ garden, I wait until the Memorial Day weekend to plant my peppers. May weather is not dependably warm for me until the end of the month and cold weather can impede the growth of the plants. Space your plants 18 inches apart in rows that are 30 to 36 inches apart. Spacing is important. Crowding your plants can result in insect and disease infestations that can weaken or kill your plants. Pepper stems are quite sturdy but once the plants develop fruit, the weight of the fruit will weigh down the branches or even break them. Stake your plants to provide support and prevent the fruit from touching the ground. Make sure that your plants get at least 1 inch of water per week. If it doesn’t rain enough, hand water them at the roots. 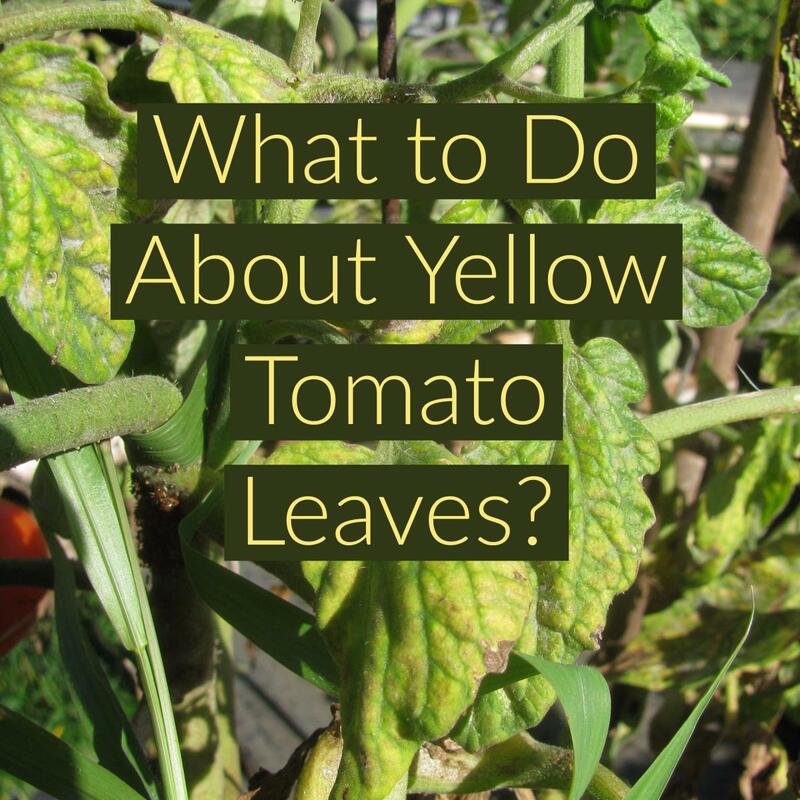 Avoid overhead watering which can cause the soil to splash up on to the leaves, carrying fungus spores to them which could result in powdery mildew. Consistent watering is important for the best fruit. Insufficient amounts of water will result in small fruit. Keep your peppers well-weeded. Weeds compete for water and nutrients. Keeping your garden weed-free results in larger and healthier plants. A thick layer of mulch will not only discourage the growth of weeds, but it will also help keep the soil moist. Rich soil should be enough to get your peppers going, but once the flowers start to appear, fertilize the plants with a well-balanced fertilizer. Avoid high nitrogen fertilizer. Too much nitrogen will result in foliage rather than fruit. I also like to add some Epsom salts around my plants when I plant them in my garden. Epsom salts gives them a boost of magnesium which helps them set fruit. Peppers are easy to grow from seed as long as you provide them with enough heat. Start your seeds indoors 8 weeks before your last frost. Plant them ¼ inch deep and place the container on a heat mat. Keep the temperature at 80⁰F to 90⁰F. This will result in an ideal soil temperature of 70⁰F. 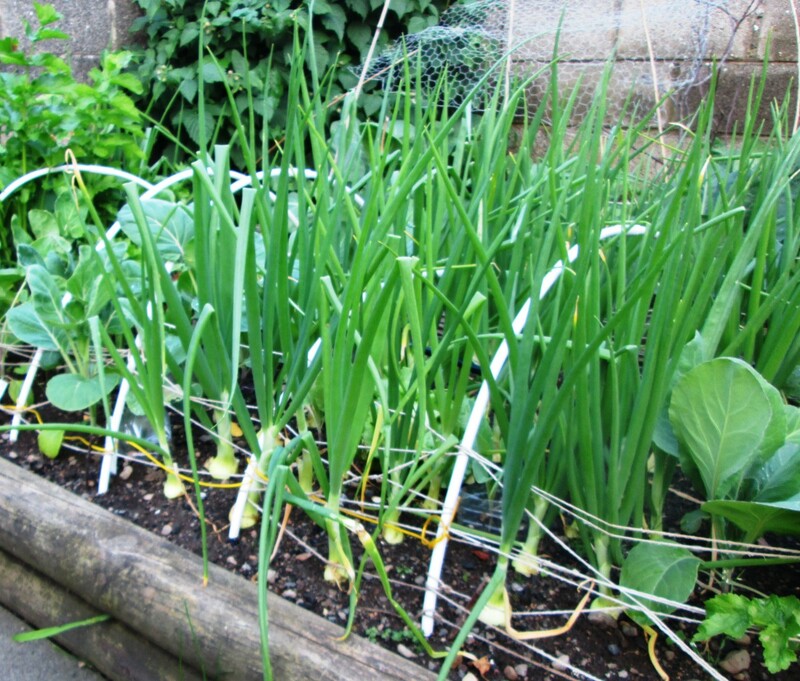 When using a heat mat, you will need to water more often because the heat will dry out the soil more quickly. Germination should occur with about a week. Keep in mind that sweet peppers will germinate faster than hot peppers. 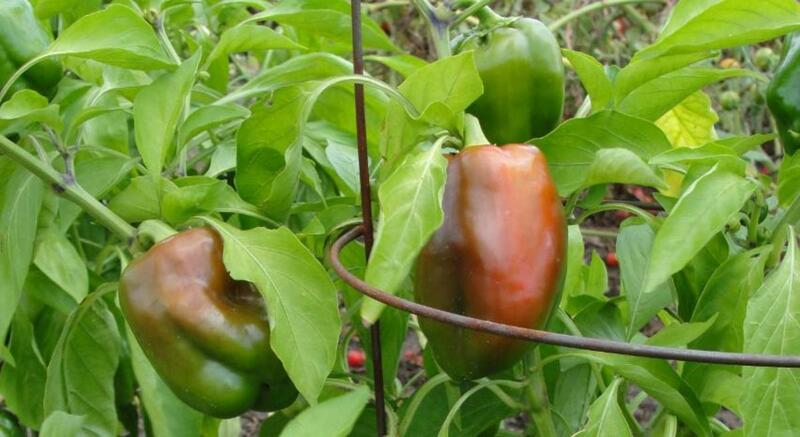 It is possible to grow peppers from seed without a heat mat. It will just take longer for the seeds to germinate, up to 3 to 4 weeks. I grow my peppers from seed without a heat mat successfully every year. I just start my seeds earlier to allow for the longer germination period. You can transplant your seedlings into your garden when night time temperatures are consistently above 50⁰F. Plant them 1 inch deeper than the container that they are growing in. Just like your tomatoes, peppers have the ability to grow roots from their stems so plant them a little deeper to encourage a larger root mass which will result in larger and healthier plants. Plant the seedlings 18 inches apart in rows that are 30 to 36 inches apart. Spacing is important to avoid overcrowding which can result in infestations of insects and disease. Peppers are mature and ready to harvest when the fruit have turned from green to the mature color of red, yellow or orange. Most of us eat bell peppers when they are immature and green. They are actually sweeter when they ripen to red or yellow. That takes longer which is why those peppers are more expensive in the grocery store. 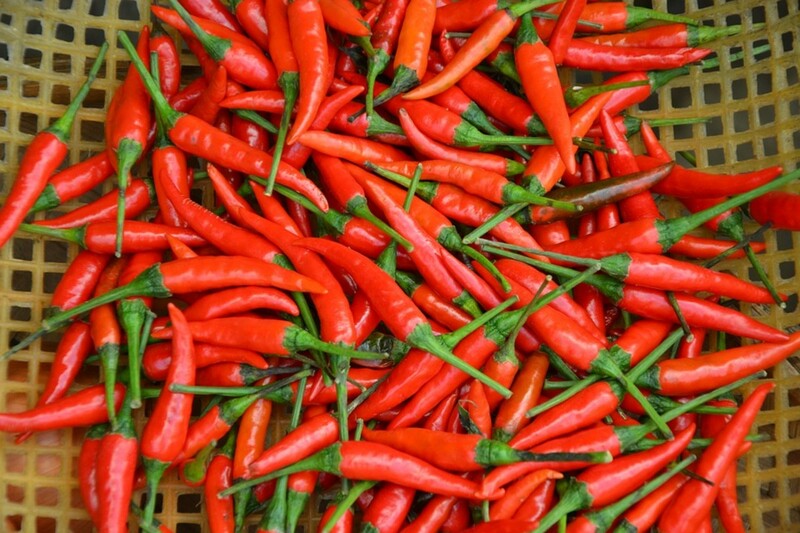 Hot peppers are more hot when they mature from green to red, yellow or orange, depending on the type of pepper you are growing. The deeper the color, the hotter the fruit will be. When harvesting peppers, use pruners, scissors or a sharp knife to cut the fruit from the branches. If you try to pull it off, you may rip off the entire branch. Another good reason to be careful how you pick the fruit – the more you harvest, the more your plants will produce! Just like your pumpkins, leave a little piece of the stem on the pepper when you cut it off the branch. 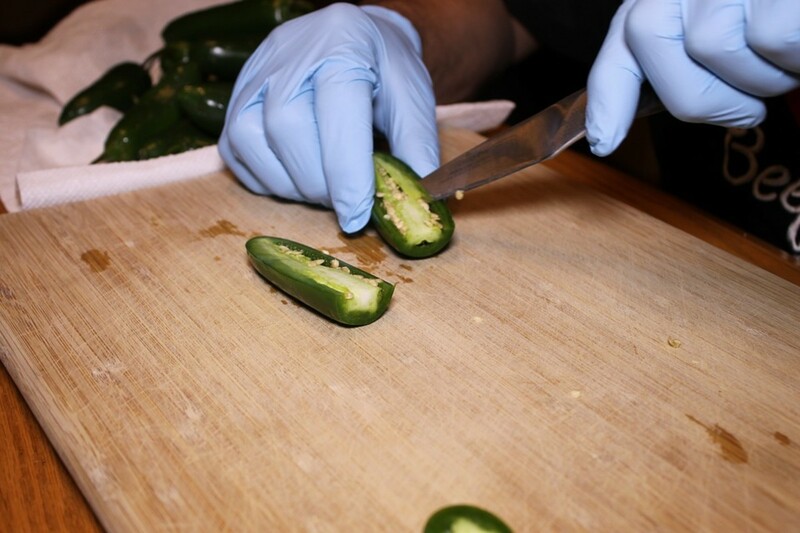 When harvesting hot peppers, it is best to wear gloves and wash your hands when you finish. 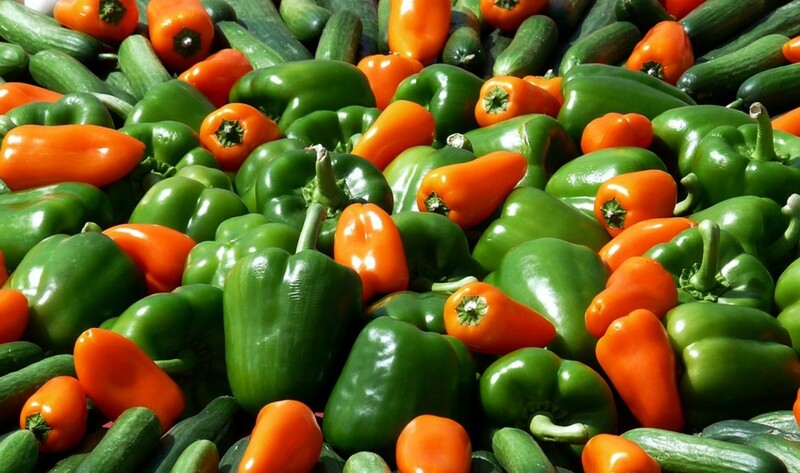 Immediately after harvesting, wash your peppers with water, pat them dry and then store in your refrigerator. They will keep for up to a week when refrigerated. 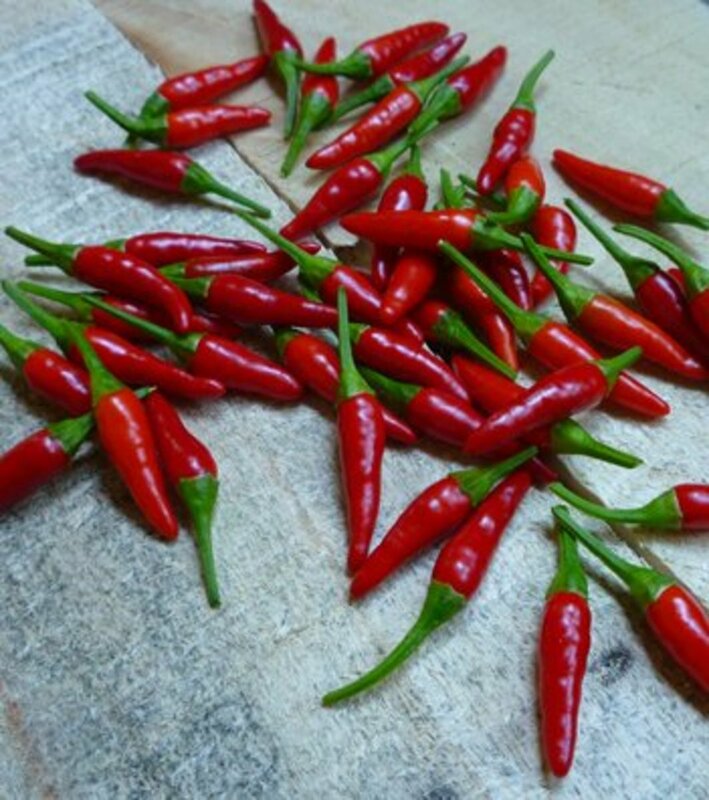 If you are unable to use your harvest right away, peppers can also be dried, frozen or pickled. At the end of the growing season, when you hear that there will be a frost, harvest all of the remaining fruit from the plants in your garden. The frost will kill the plants. Any fruit that has begun to change color will keep ripening if kept at room temperature for up to three days. After that, they should be refrigerated. Any immature green fruit cannot be used and should be composted. I may try a few in a container garden. Peppers add so much flavor to a dish. Thanks for the inspiration.